EHF Marketing GmbH, the marketing arm of the European Handball Federation, has signed a new partnership with one of the world’s leading logistics companies, Kuehne + Nagel. The agreement will see Kuehne + Nagel become the Official Logistics Partner of the VELUX EHF Champions League, providing Europe’s premier club handball competition with logistics services through its global network throughout the coming season. 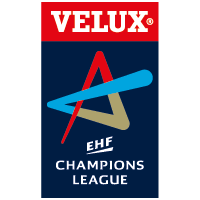 Kuehne + Nagel already has a proven track record in the VELUX EHF Champions League, having been responsible for the logistics operations for the Sharp LCD Advertising System during the project’s first full season in 2011/12.